Enter to win a Rafflecopter Prize: E-copy of ‘The Articles of Release’ by B.A. Tortuga. Must be 18 years of age or older to enter. 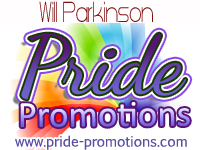 Link and prize(s) provided by the author and Pride Promotions. This entry was posted in Book Reviews, Book Tours and Contests, Books, Contemporary fiction, Dreamspinner Press, eBooks, LGBTQ Book Reviews, M/M Book Reviews, M/M Contemporary Fiction, M/M Fiction, M/M Romance, Uncategorized and tagged A Melanie M Highly Recommended Story and Author, A Pride Promotions Book Tour and Contest, author B. 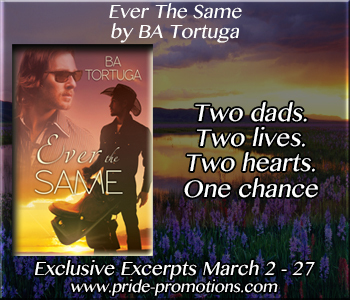 A. Tortuga, gay character with disabilities, gay disabled vet in fiction, The Articles of Release (The Release Series #2) by B.A. Tortuga, The Release Series by B.A. Tortuga. An accident in Drew Clifton’s past left the former novelist with aphasia, unable to communicate through either speech or writing. Through sheer strength of will, he built a quiet but lonely life for himself. But now he’s fallen in love with Travis Miller. A revisit with the guys from Speechless: Drew Clifton’s, the former novelist with aphasia, and Travis, the one-eyed machinist. After his accident, Drew built a life for himself in Portland, and now shares it with his love, Travis Miller. Now that he’s back in Portland, Travis is unemployed and being cared for by his lover isn’t sitting well with him. He wants to stand on his own two feet. He’s determined to help Drew though and one way he finds is to see his lover succeed again in the wider world, this time using his talent as a guitarist. He gets him a gig at a local coffeehouse. There they meet Dylan Warner and Chris Nock, who happen to be in the audience. Will this chance meeting provide solutions that might benefit all four guys? Dylan and Chris are characters from another of Fielding’s books, one that I haven’t as yet read. I love how she gave me some subtle clues about them without having them come right out and say things. Well-written and fun but very short read. Like Speechless, this is all from Travis POV. It does a nice job of tying up some loose ends from the first book. BUT I have the same niggle with it that I did with book one. The ending is abrupt and leaves me wanting more. I totally wanted to attend the event that was mentioned with these guys… the set up for it was so perfect. I wonder if it might be in one of the books containing Chris and Dylan. I must go now and scope that out. The cover by Paul Richmond is understated, but fitting for the story. 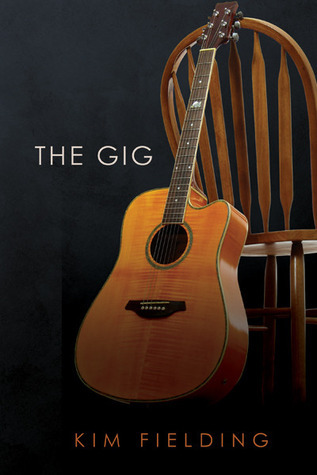 This entry was posted in Book Reviews, Books, Contemporary fiction, Dreamspinner Press, eBooks, LGBTQ Book Reviews, M/M Book Reviews, M/M Contemporary Fiction, M/M Fiction, M/M Romance, Uncategorized and tagged A BJ Review, A Bj Review: The Gig (Speechless #2) by Kim Fielding, author Kim Fielding, gay character with aphasia, gay character with disabilities, Speechless series, The Gig (Speechless #2) by Kim Fielding. One-eyed Travis Miller is a machinist living what he terms a “fairly sucky” life in Portland. His only real companion is a rescue a cat named Elwood. After he spots a handsome man playing the guitar on his porch along his walking route home, that starts to become a highlight of his day. Travis gathers the courage to speak to the man and discovers that the former novelist Drew Clifton suffers from aphasia after having been in a car accident. Drew can understand what people say, but cannot speak or write. 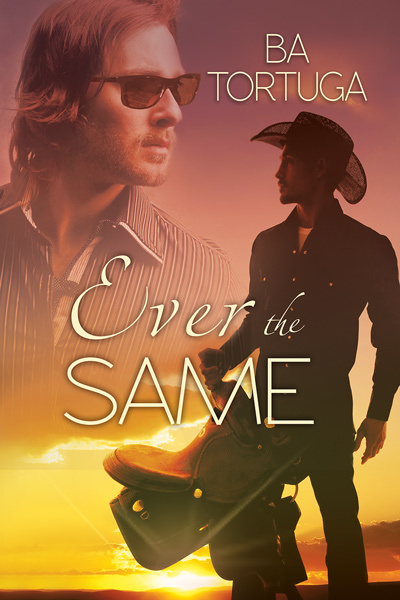 These two lonely men form a friendship that deepens into romance, but soon realize it might not be communication that’s their biggest challenge. Travis is inexperienced at relationships and struggles with a precarious financial situation. 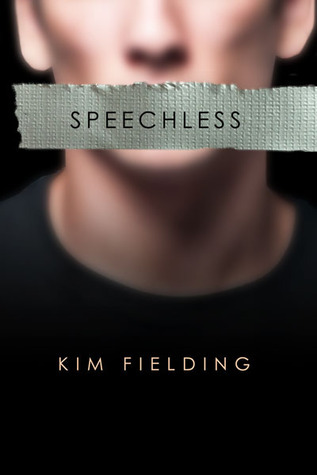 Speechless (Speechless #1) by Kim Fielding was an easy, quick read. It’s a sweet love story without being syrupy or full of drama. I love broken/wounded characters and watching them overcome their hardships. Both of these men are wounded, Travis having lost his eye and Drew his speech. Yet both are strong characters and the angst level is fairly low–neither of these men whined over their situations. Not to themselves or each other. I enjoyed that. Both men came across as everyday guys, not super handsome, buff, rich or super tough. This is told only from Travis POV, which made Drew have to get himself across to not only Travis but also us readers through only his actions. Not an easy thing for the author to achieve, I’m thinking. But yet, she did it wonderfully. Drew comes across as a very expressive, endearing, strong and determined man. Still, I admit that I’d have loved to have gotten a bit into Drew’s head, because how awful for him as a writer to lose his ability to use words! He made light of it to Travis, but I can imagine that was not the case. At least he could still read. 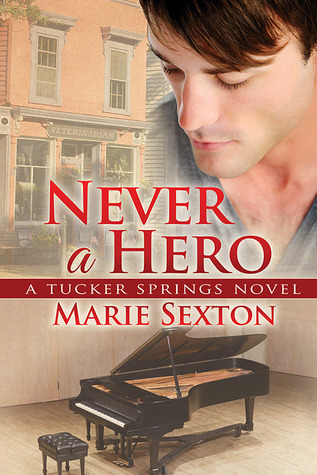 I thoroughly enjoyed this refreshing story and these imperfect, yet perfect for each other men. In life, people who can talk just fine often have such a hard time communicating. Sometimes it seems people don’t make a very strong effort to do so if it’s too difficult. I love this quote “I hardly ever had any problem understanding him. You just have to pay attention.” Exactly. But unfortunately, even to those of us who speak, many don’t pay attention, don’t really listen or watch to see what’s behind the words. Travis paid attention, and I loved him for that. Another quote from this that I adored, mainly because it made ME feel good was this one, “…even if you never write anything again, you’ve already done way more than most people.” Again… damn, I love Travis. My quibble is that the ending felt rushed. However, I noticed that there is a sequel to be had, so will have to check that out and might end up having to up my stars on this down the road. The cover by Anne Cain is a little plain as far as color but it gets the point of the story across well. 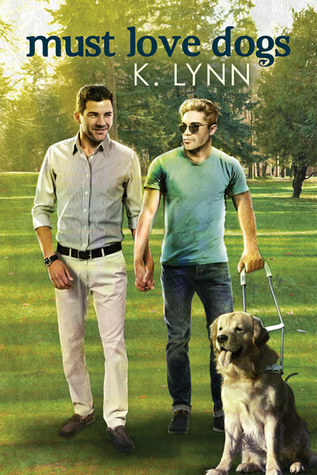 This entry was posted in Book Reviews, Books, Contemporary fiction, Dreamspinner Press, eBooks, LGBTQ Book Reviews, M/M Book Reviews, M/M Contemporary Fiction, M/M Fiction, M/M Romance and tagged A BJ Recommended Read, A BJ Review, author Kim Fielding, gay character with disabilities, Speechless (Speechless #1) by Kim Fielding, Speechless series by Kim Fielding.